In the funeral industry, a hearse is known as a funeral coach. The term hearse (herse) is actually from the 13th century and referred to a type of plow. The word was also used for the triangular form that held candles during religious ceremonies. These “candelabras” were also placed on the top of the coffin as the body was taken to its burial place. 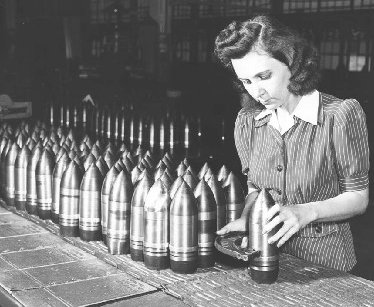 A bier was the first type of carrying device used to move remains. Made up of a flat wooden form, the body, wrapped in a shroud, or the coffin box was placed upon this framework and carried by hand to the burial place. 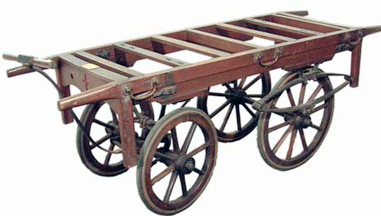 This framework became known as a hearse: a way to transport the body or coffin. Biers are still used today but are made of aluminum and have wheels for ease of movement. Also known as a church truck, it is used to move the casket to and from the church or funeral home. 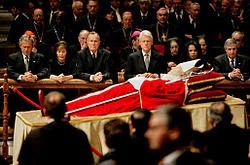 Dignitaries and heads of state are also placed on biers to lie in state before funeral services are held. These hand-carried hearses evolved into horse-drawn wagons during the 17th century. 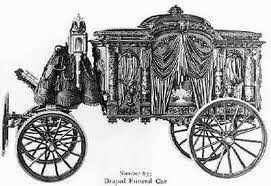 By the 19th century, wooden hearses were becoming more elaborate with intricately carved flowers, doves and scrolls, and heavy velvet draperies hung on both sides of the carriage. 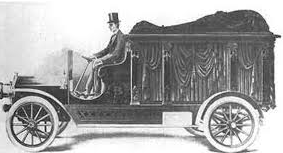 Hearses were usually crafted from mahogany wood. 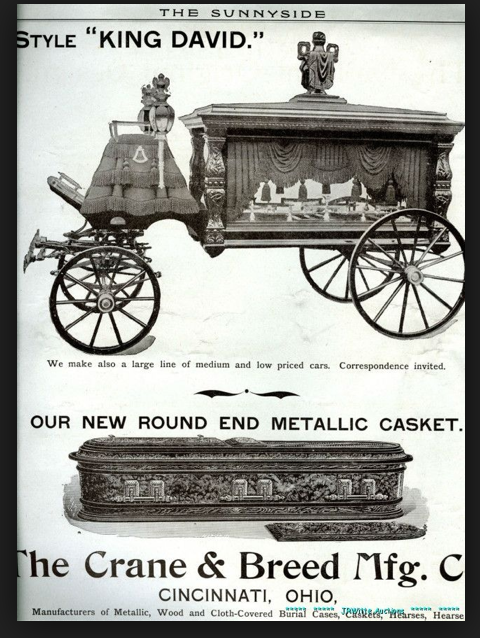 In 1850, Crane, Breed & Company of Cincinnati began producing metal caskets. Four years later the company was also building horse-drawn hearses. 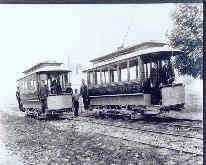 In the 1880s, the cities of Baltimore and Chicago each designed trolley funeral cars, which ran on the electric trolley railways. These special trolleys were used to transport a casket, and the mourners out to the cemeteries located at the edge of town. It was not until the beginning of the 20th century and the invention of the motorized vehicle that hearses received a tremendous updating. On May 1, 1908 the General Vehicle Company of New York rolled out the first electric hearse. But by 1909, Crane and Breed had introduced the first motorized mass produced funeral coach called the Auto Hearse. This was also the first year that a totally motorized funeral was held. When Chicago resident Wilfrid A. Pruyn died, H.D. Ludlow, a local ambulance and funeral service, agreed to furnish a motorized hearse. Since Ludlow did not have one, he had one built by the C.A. Coey Auto Livery Company. Coey adapted a horse drawn hearse by placing the framework on the chassis of an opera bus. The 1920’s brought about several changes and adaptions to the motorized hearse. In 1920, hearses were beginning to resemble the passenger limousine that was popular with the well to do. Three-way coaches were introduced near the end of the Roaring 20s. This allowed the casket table to move in order to be loaded and unloaded from either side of the hearse, or through the back door. Since streets were still unpaved, people liked the convenience of being able to load and unload the casket out of the mud. During the Art Deco Movement of the 1930s, art-carved hearses became popular. These hearses featured hand-carved wooden panels that resembled heavily draped curtains and were placed on the side windows for privacy. 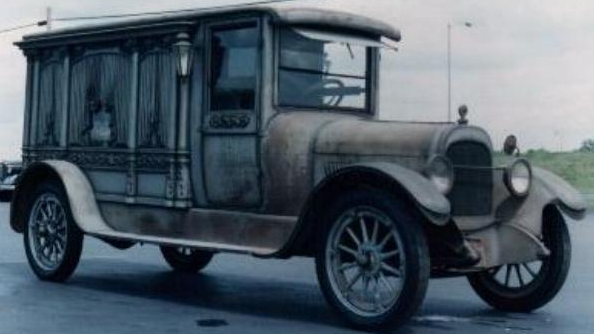 This style of hearse was made until the late 1940’s. In 1938, Sayers and Scovill introduced the landau style of hearse. 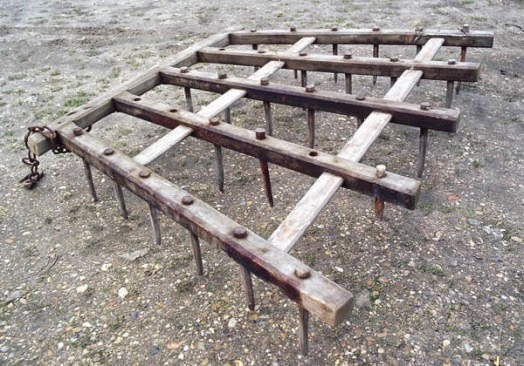 Landau is a term from the Victorian era, which meant carriage bars that could fold and unfold, opening up part of the carriage to the elements. It was adapted to the motorized vehicle creating a semi-convertible where the rear quarter of the car could be opened up by folding the cover at the landau joints. The funeral industry embraced the look and the leather-backed hearse with its faux landau bar became popular. 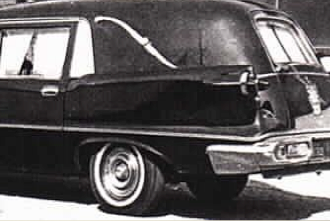 Today, the S-shaped landau bars are still visible on many hearses. Funeral coach production was on the increase when WWII broke out and factories were converted for wartime production. By the end of the war, many funeral coach companies had experienced financial losses and were forced to close. After the war, landau and limousine style hearses were both popular. Draperies lost some of their intricate draping and became sleeker and straighter based on the look of airline drapes. During the 1970’S, hearses were downsized due to the gasoline crisis. 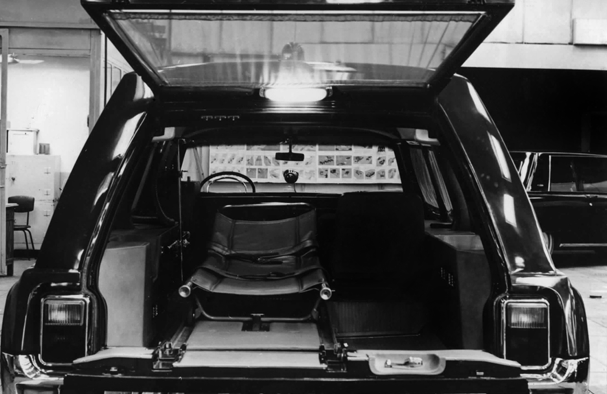 Until the end of the ‘70s, it was typical for a hearse to be built on combination a chassis, (usually Cadillac) meaning that the professional framework was constructed for use as a hearse or an ambulance. The rear compartment was then fitted to carry either a gurney or casket. Funeral coaches were downsized again at the end of the 1990’s and today some modern fleets, especially in Europe include medium sized vans that have been converted into funeral hearses. In Europe, the limousine style is preferred with lots of glass and few draperies allowing the windows to be unobscured. In the U.S, the landau style is still popular, bearing the trademark leather or vinyl roof with the faux S-shaped bars, and curtains at the windows. The windows may also be frosted or opaque without curtains. 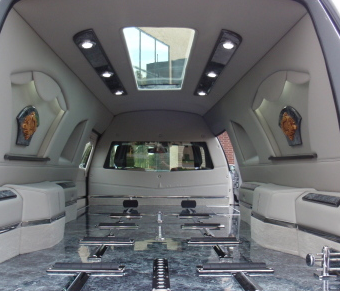 Some hearses have skylights, sidewall decorations and track lighting. Current versions are boxy in the rear, resembling a car and van in the styling. The current cost of a hearse is around $100,000. For more information on hearses, visit Coach Built at www.coachbuilt.com and Hearse Works at www.hearse.com/pa. So, if you're choosing, what style of hearse would you prefer to take you on for your final ride? 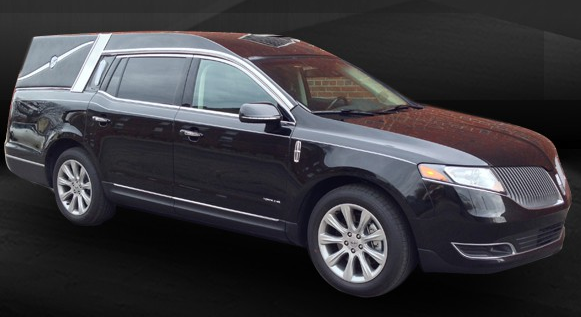 Very good, but your costs are too high, a low end hearse costs around $40,000. 40k? Putting them in a removal van? Thanks for the comments. These numbers came from National Funeral Directors Association (NFDA) about 5 years ago. Maybe it's time for an updated blog post.